Does More Federal Aid Raise Tuition Costs? 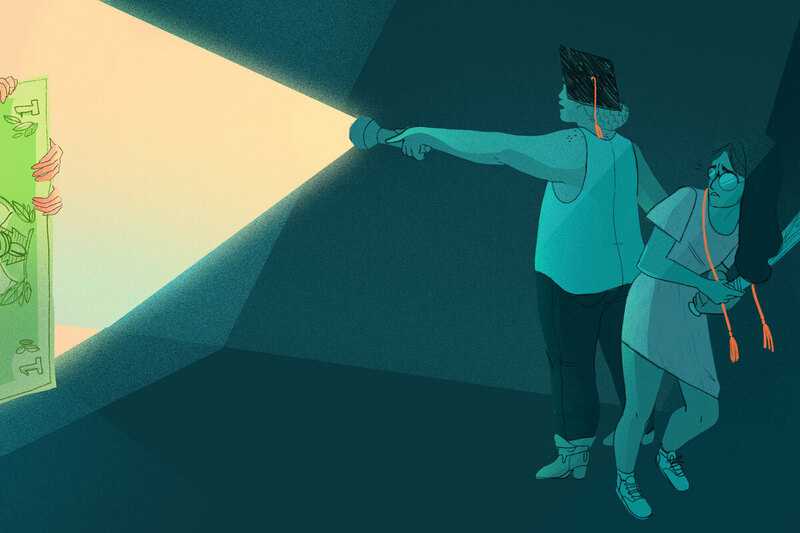 Not For Most Students, Research Says Experts say there isn't solid evidence that federal aid drives up college prices, except in one sector: for-profit colleges. The cost of college has risen dramatically in recent decades, she told her audience. "It has something to do with what one of my predecessors famously pointed out decades ago. When the federal government loans more taxpayer money, schools raise their rates." That predecessor, former Secretary of Education William Bennett, spelled out his idea in 1987. "If anything, increases in financial aid in recent years have enabled colleges and universities blithely to raise their tuitions, confident that Federal loan subsidies would help cushion the increase," he wrote in The New York Times. It became the Bennett Hypothesis, and researchers have studied it extensively in recent years. Results and opinions are mixed — but there's isn't definitive evidence that federal aid is driving up costs across all types of schools. "The body of research finds some modest evidence to support the Bennett Hypothesis, but it's not the strong relationship like Secretary DeVos is implying," explains Robert Kelchen, assistant professor of higher education at Seton Hall University. The evidence? For-profit colleges where students can pay using federal aid have much higher tuitions than those schools that can't accept aid, according to a 2014 study. In fact, researchers Stephanie Cellini and Claudia Goldin found that the difference in tuition between the eligible schools and the less expensive, non-eligible schools was about the same as the federal aid students received. "I think it suggests that there are problems within this sector, not that there are problems within federal student aid," explains Cellini, an associate professor of public policy and economics at George Washington University. She says the results point to a need for further regulation of for-profit colleges, which have vastly different incentives than public schools and nonprofits. Education Secretary Betsy DeVos has scaled back regulation on for-profit colleges since taking office. "In the public sector, there's generally less evidence," says Kelchen at Seton Hall University. He's done research at the graduate level, where students are now able to borrow from the federal government up to the total cost of their degree. When this change went into effect, Kelchen studied graduate school tuitions and found that "in general, there were either no increases as a result, or just small increases," he says. And at community colleges, where more than one-third of all undergraduates attend, "the amount of money that students can get in federal financial aid is already more than tuition," Kelchen says. "So [community colleges] already have that incentive to raise tuition to cover what federal aid can support, and by and large, they haven't done that." While research supporting the Bennett Hypothesis isn't wide-ranging, one recent study did connect increases in federal aid to increases in tuition at both public and private schools. When the government raised limits on certain undergraduate loans in 2007–2008 and 2008–2009, tuition went up. Researchers at the Federal Reserve Bank of New York found that the effect was most profound at more expensive schools, private schools, and two-year and vocational programs. "It definitely doesn't imply that we should rid of all student loans altogether," Karen Shen, one of the study's authors, says. "This might just be a byproduct of wanting more broad-based access to education." It's also worth noting that tuition isn't always the best measure of how much students pay for higher education. That's because the majority of students don't pay the listed tuition at their schools while they're attending; many students receive funds from outside sources, including federal aid in the form of grants and loans, and money from their school in the form of grants and scholarships. "The fact is, college prices go up for a lot of reasons," says Terry Hartle, Senior Vice President at the American Council on Education. "It is a complex calculus that changes every year." He says that the Bennett Hypothesis is a convenient, easy answer to why college prices are high. Research shows that when states cut back funding for higher education, students pay more. And in recent years, Hartle says, "State governments are walking away from supporting colleges and universities."